After the survey I had made on Twitter I chose the black and green livery for the loco . 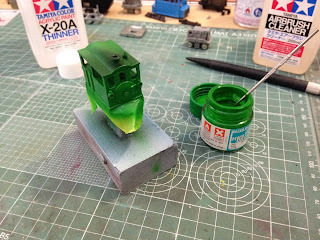 The model is painted by airbrush with Tamiya and Gunze acrylic colors while couplers, headlights and the bell are painted with Vallejo acrylic colors. 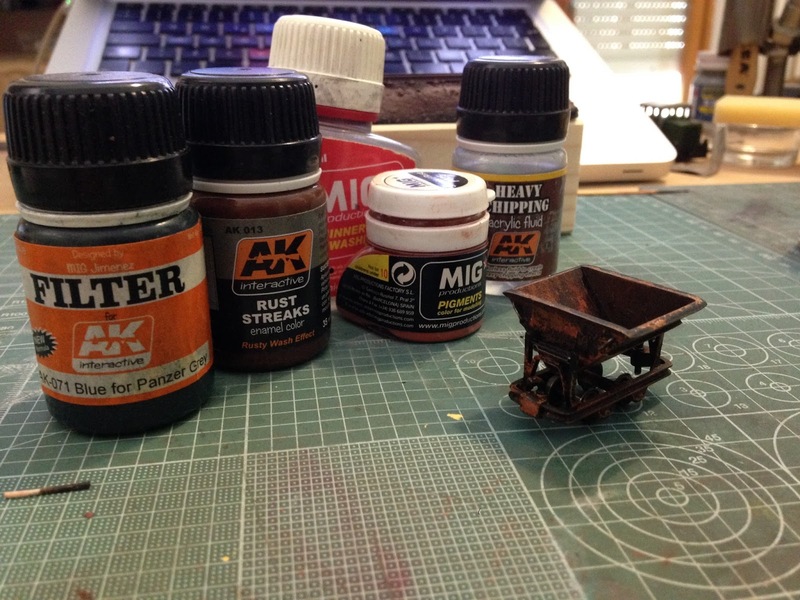 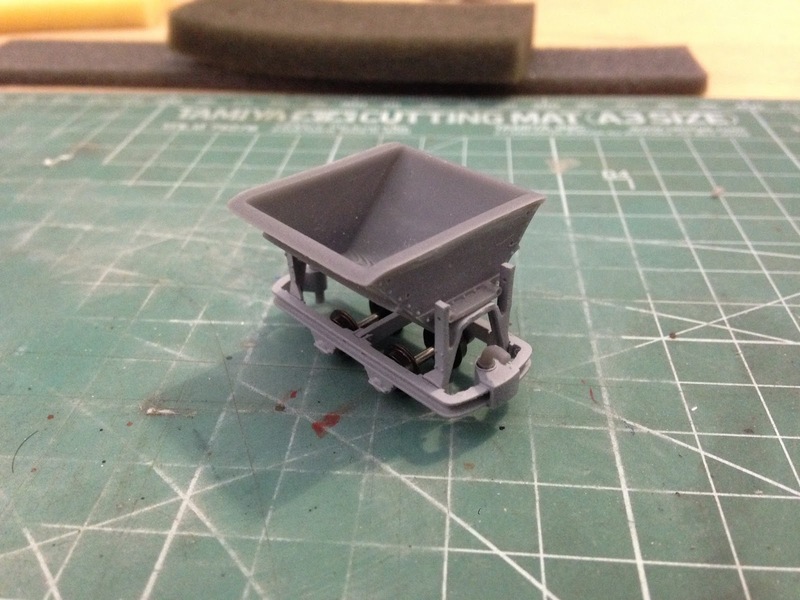 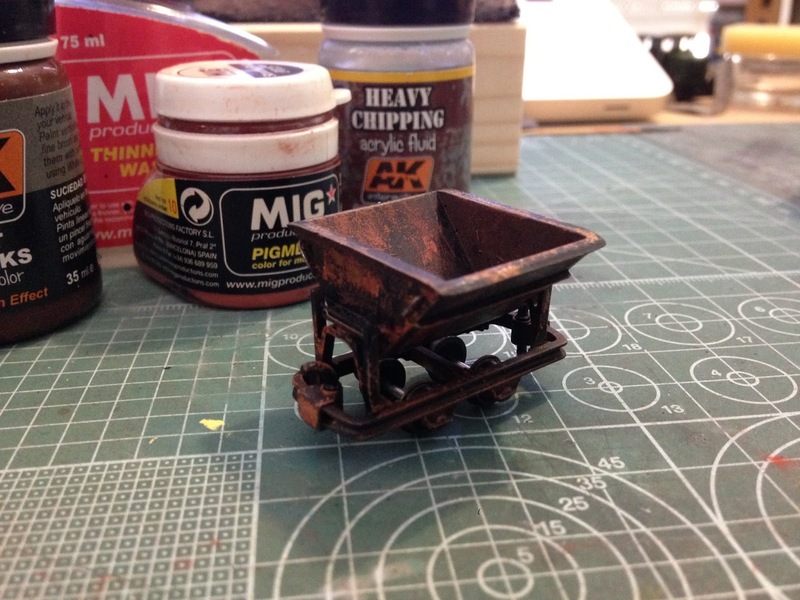 The tiny H0e "Tram-Lok" kit is for sale here! 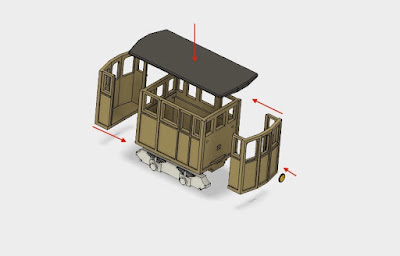 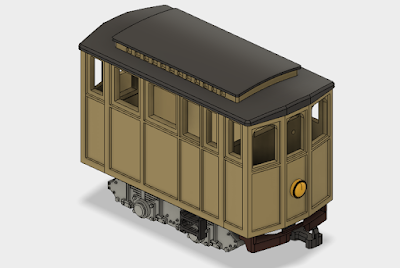 Study of a new upgrade for freelance draisina: accumulator passenger railcar. 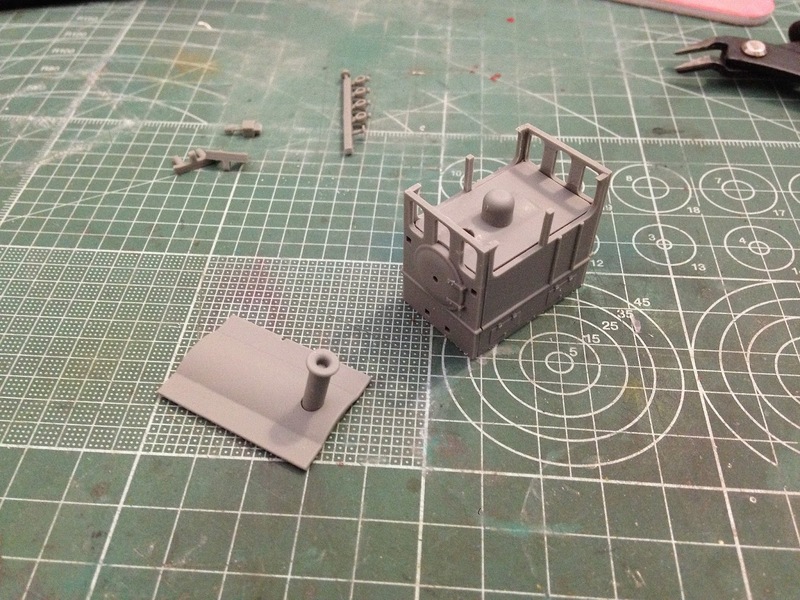 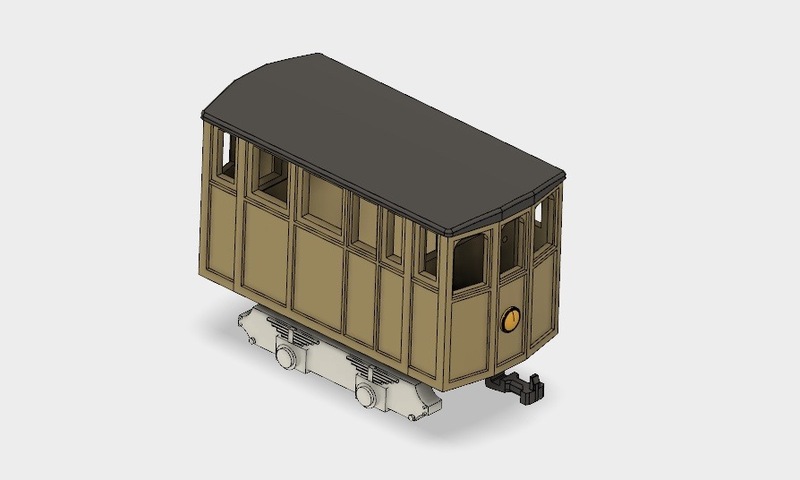 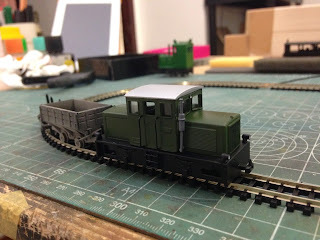 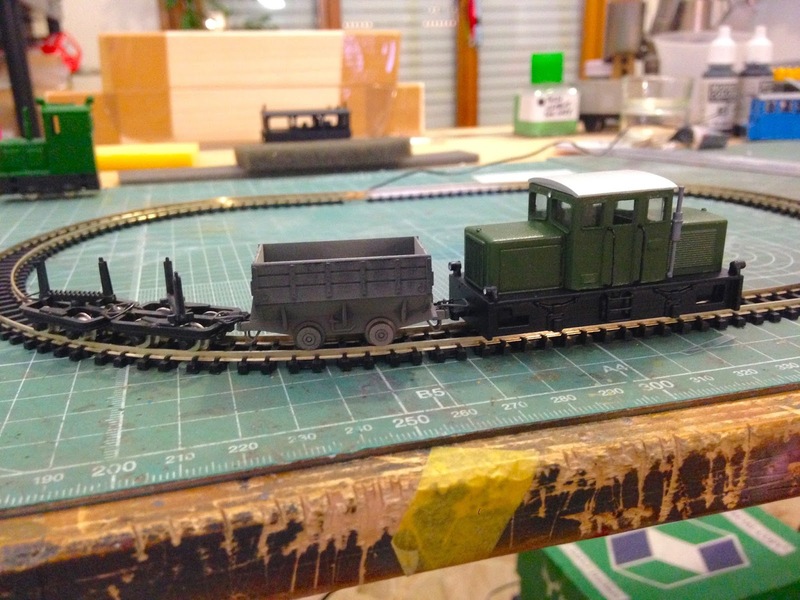 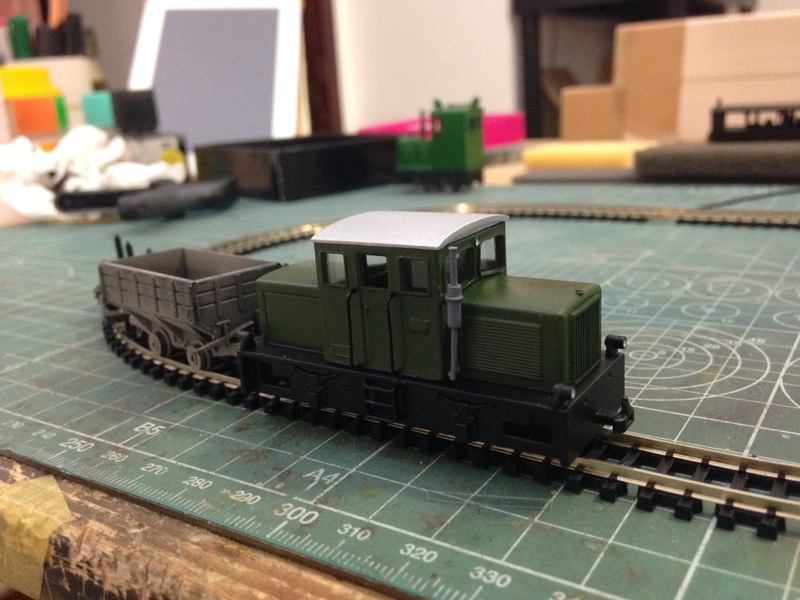 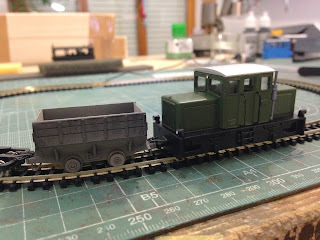 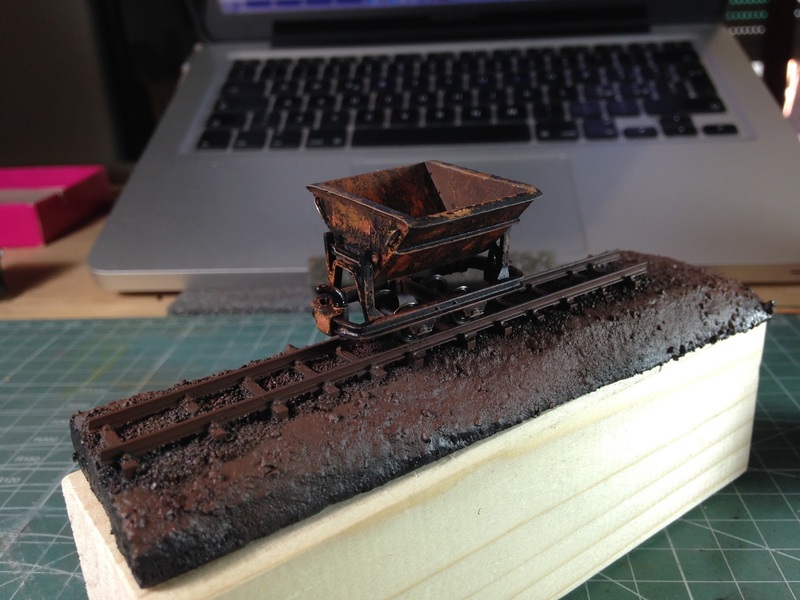 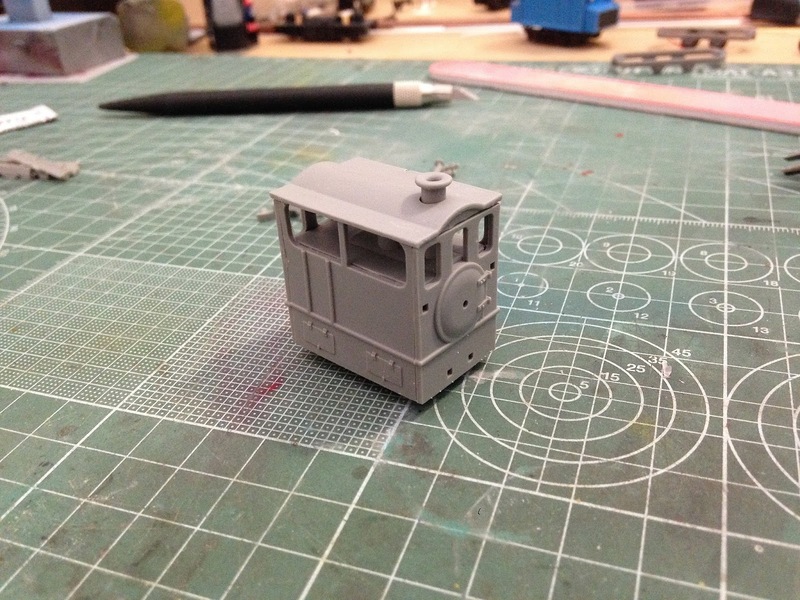 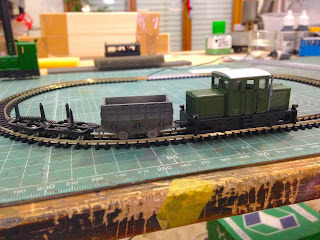 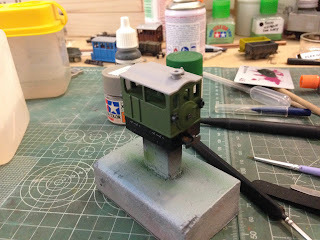 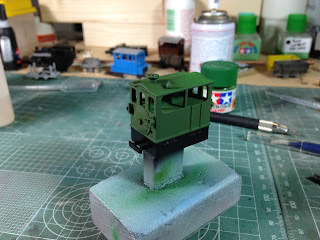 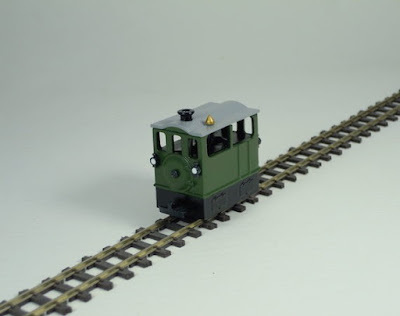 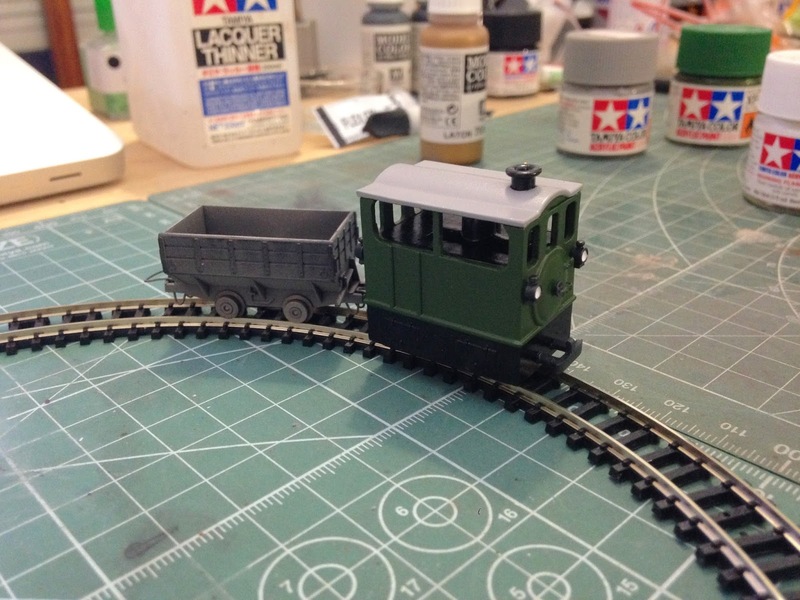 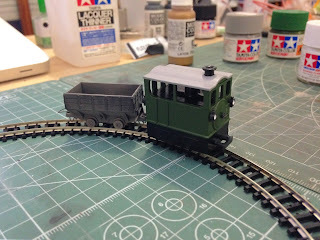 New tramway locomotive by jellymodels! 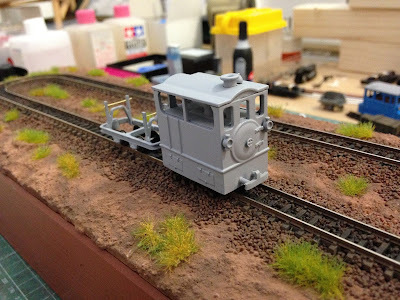 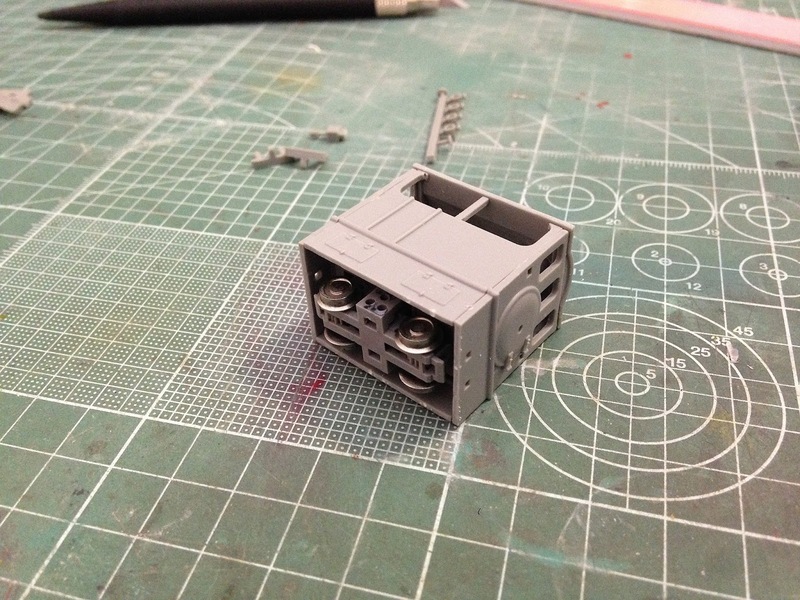 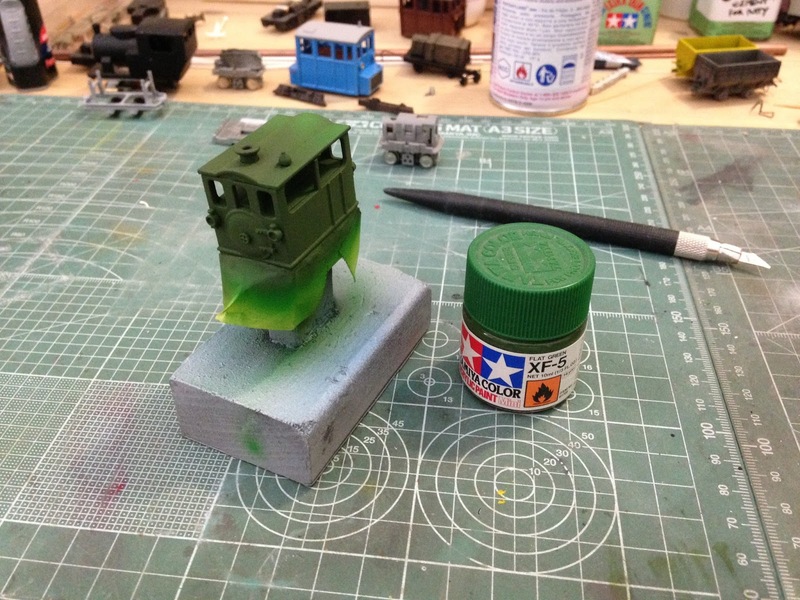 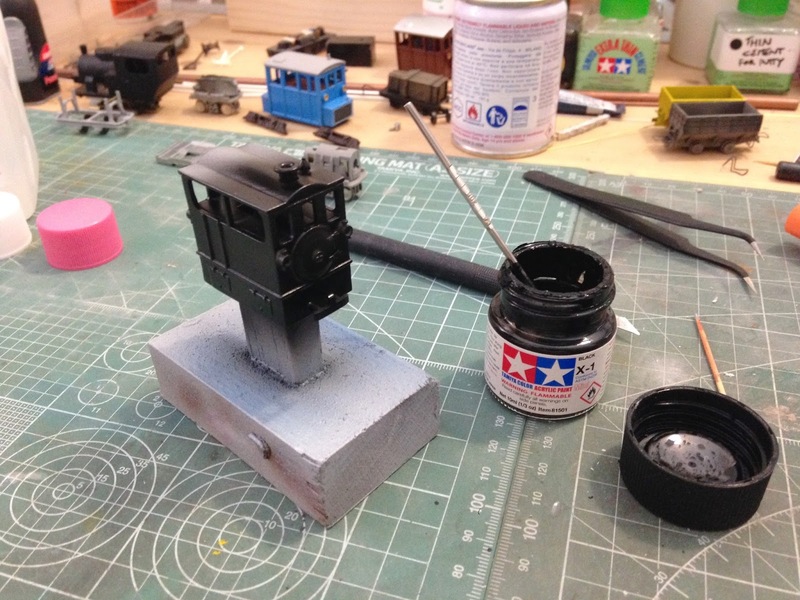 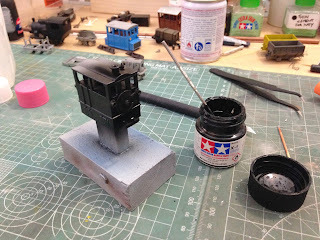 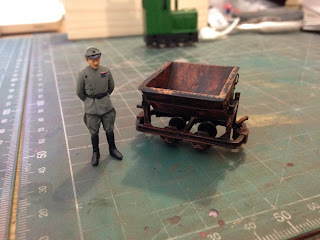 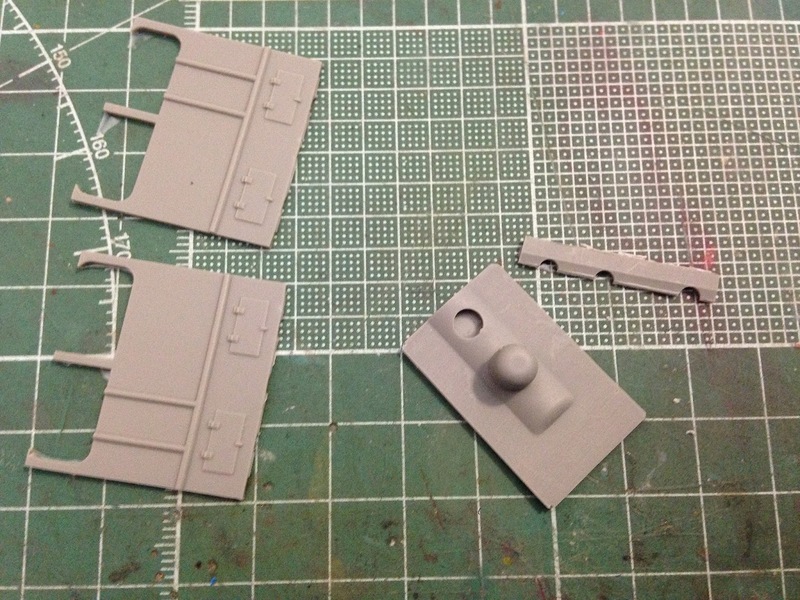 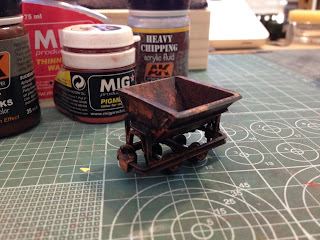 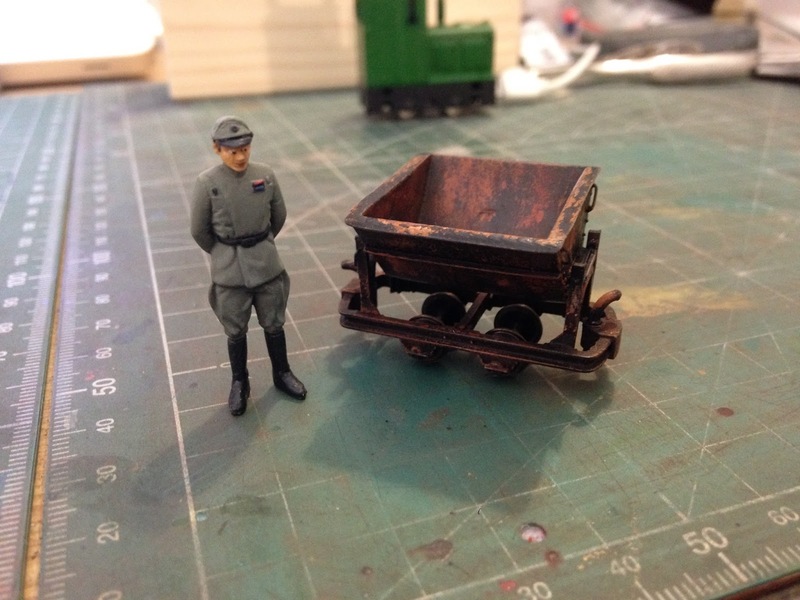 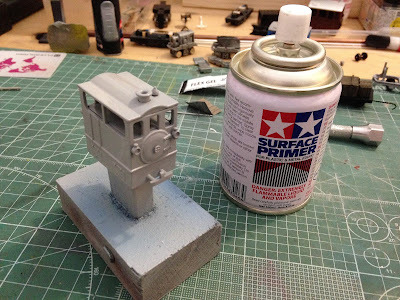 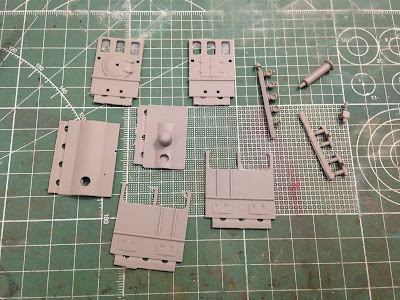 The model is a resin kit and must be completed with Tomytech-Hakotetsu motorization. 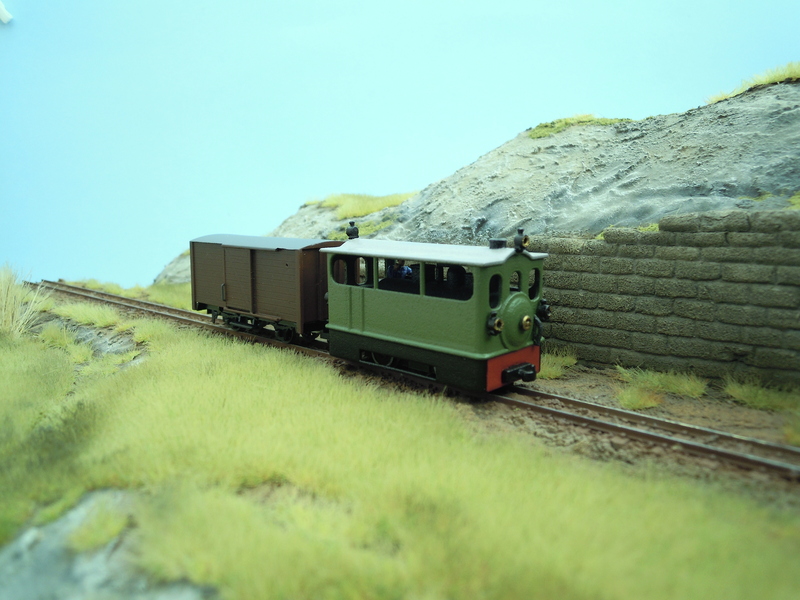 The kit can be found for sale here! 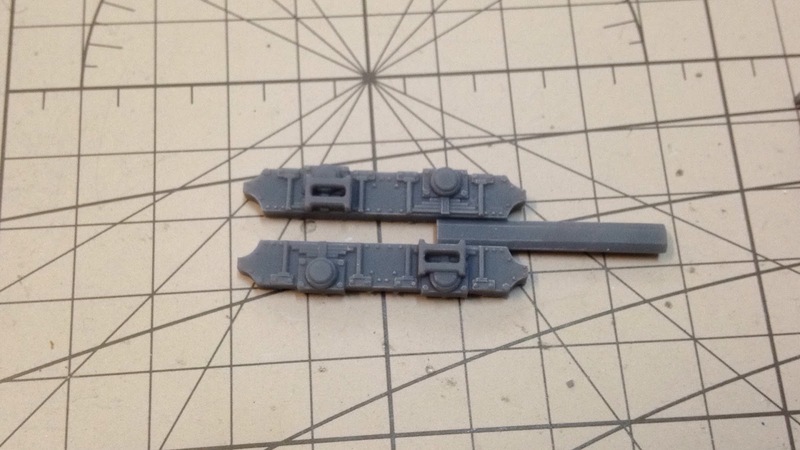 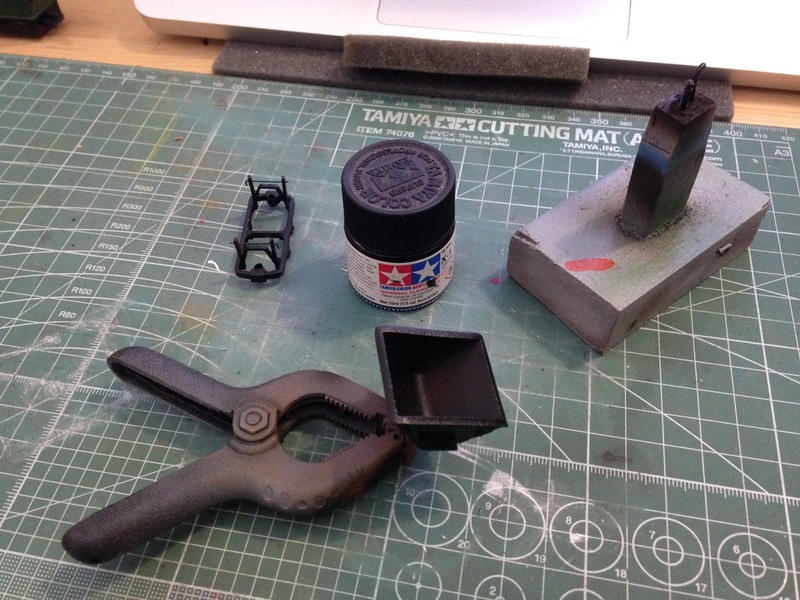 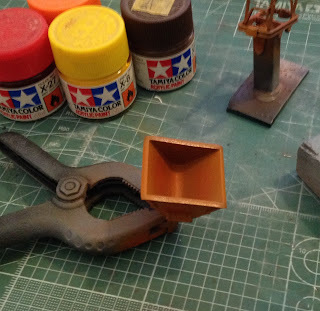 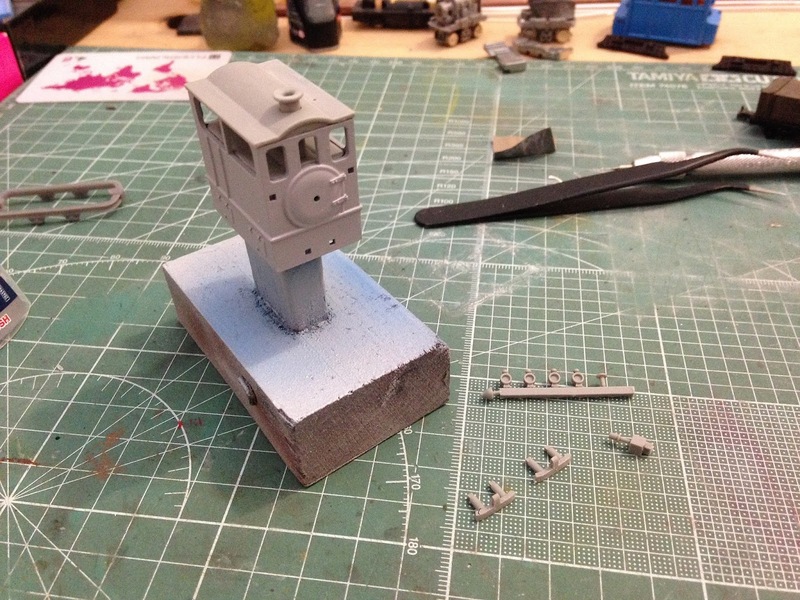 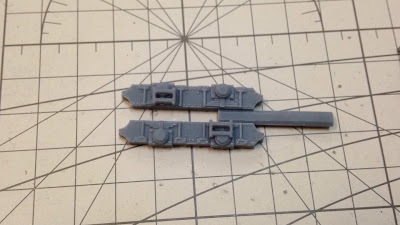 The parts must be separated carefully from the casting sprues. 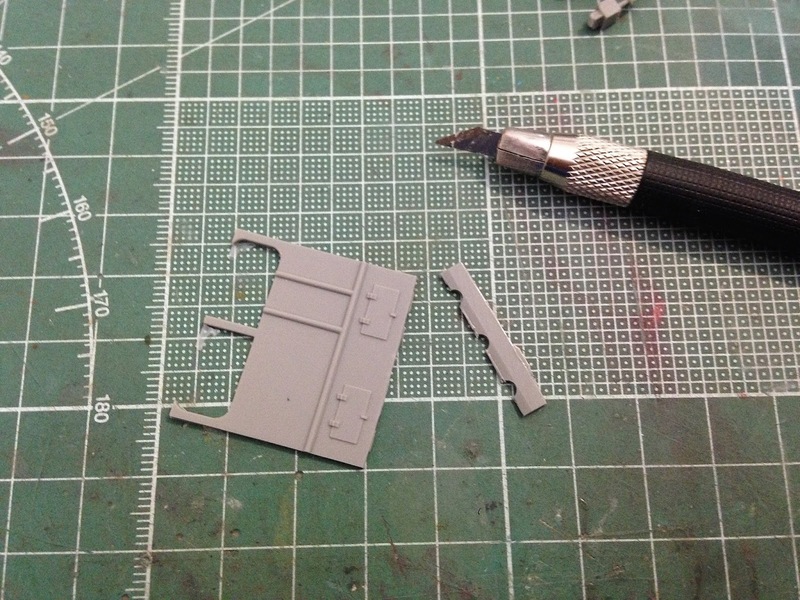 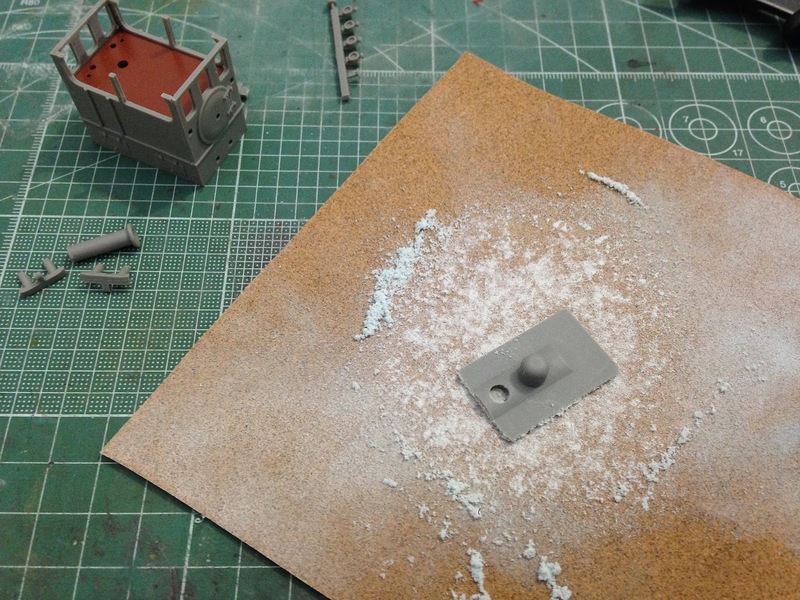 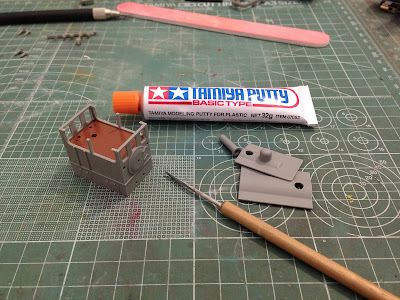 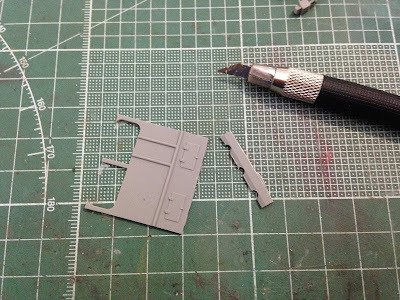 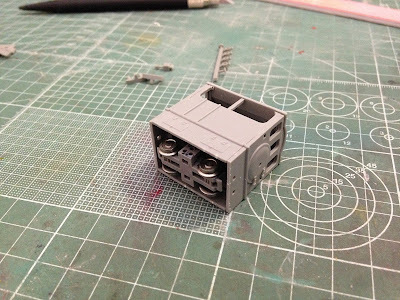 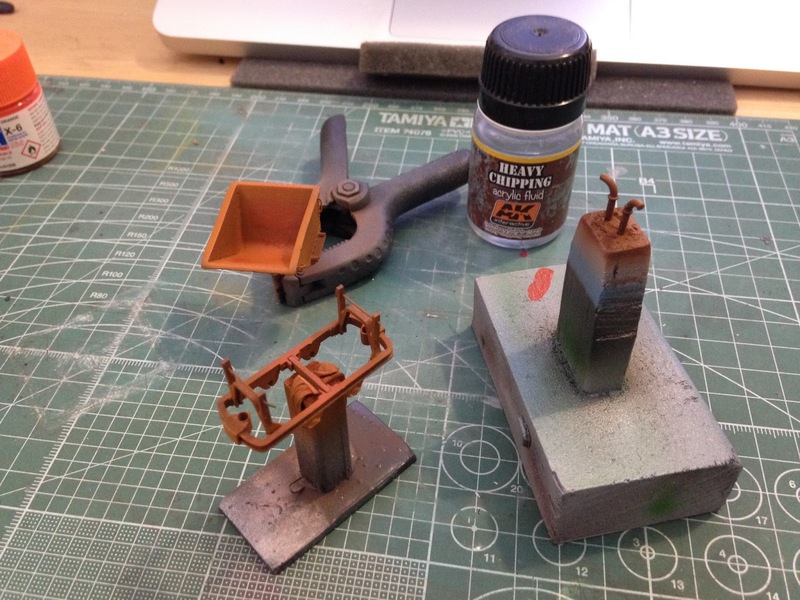 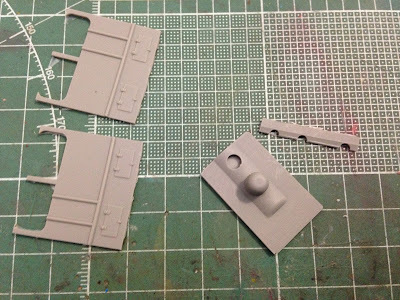 By Tamiya putty you can remove any holes or irregularities during assembly. 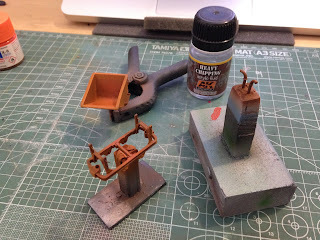 Mounting details, spray a fine coat of primer.